Vatican City doesn’t have many public holidays that are not religious feasts. In fact, as of 2018, there are two such holidays: Lateran Treaty Day (February 11) and anniversary of the election of Pope Francis (March 13). Lateran Treaty Day is also known as anniversary of the foundation of Vatican City because the treaty established Vatican City as a sovereign state, settling the so-called “Roman Question”. The Roman Question arose in the context of the unification of Italy (Risorgimento). Following the capture of Rome by the newly founded Kingdom of Italy in 1870, the Papal States did not recognize the legitimacy of the Italian government, which led to an almost six decade long dispute regarding the power of the popes. The Roman Question was resolved in 1929, during Mussolini’s tenure as Prime Minister of Italy. On February 11, 1929 Prime Minister Benito Mussolini and Cardinal Secretary of State Pietro Gasparri (on behalf of Pope Pius XI) signed a set of accords at the Lateran Palace. 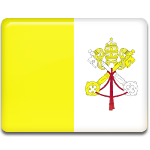 The treaty recognized Vatican City as a sovereign state. The Lateran Pacts of 1929 comprise a treaty of conciliation, a financial convention, and a concordat, although the financial convention is sometimes regarded as part of the treaty of conciliation. The concordat regulates relations between the Italian state and the Catholic Church.